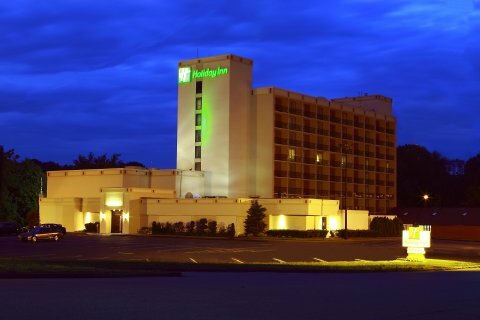 Stay at the New Holiday Inn&reg Saddle Brook, New Jersey Located just off Interstate 80 and the Garden State Parkway. Standing 8 stories high, you will capture a breathtaking view of New York City's skyline from our Executive Floor. Whether it's meeting space, guestrooms, or just to visit. Let the Holiday Inn Saddle Brook Hotel make this a time to remember. With a prime Saddle Brook location near great shopping and just eight miles from New York City, the beautiful new Holiday Inn Saddle Brook Hotel offers the kind of warm hospitality, inviting atmosphere and topnotch services sure to please business and leisure travelers alike. This hotel is committed to providing accessible facilities under the American Disabilities Act. If your accessibility needs are not met, please contact the Hotel Manager on Duty. Should you require additional information regarding accessible facilities for guests with disabilities, please call 1-800-Holiday (U.S. and Canada) or contact the hotel directly. For the hearing impaired, TDD service is available at 1-800-238-5544 within the U.S. and Canada.